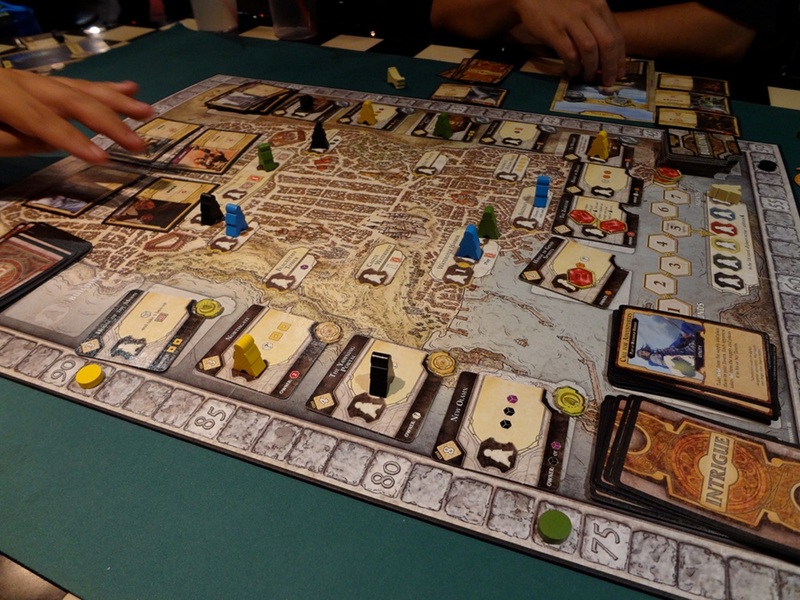 The Board Game Society meets weekly to play lots of fun games; from fighting monsters and escaping haunted mansions to solving murders and conquering distant lands. With over a hundred games to play; we have by far the largest and most diverse collection of board games in any UK university. The society meets once a week as well as for one whole afternoon each month, numbers permitting. Our sessions are a great way to meet new people whilst playing a whole host of new and exciting games. Don't worry if you don't know how to play; there's always someone to explain the rules so playing something new has never been easier. For all this and more we only charge £3.00 for the whole year. So come on and enjoy some of the worlds greatest games; new faces always welcome no matter what time of the year! Every Tuesday we open up our vast games library which includes games from the simple and comical to the long and complicated. Our monthly(ish) Saturday meetups, where we have an extended session which allows you to play all the usual games as well as some of the far longer ones. We are looking at introducing Society Trips to some of Nottingham's many board game cafés. Creating more opportunities for the society to get together, have something to eat and play an even greater variety of interesting board games. The society game library is both large and varied including all the classics as well as many you won't have heard of. In addition to our regular games members frequently bring along there own ones adding to the diversity and enjoyment. Please see the sub pages at the top-left for details of many of our games and ones which are regularly brought along. Society owned games are available for regular members to borrow. Over 2014 we nearly over doubled the number of games we own and intend to buy even more throughout the year. A vote will be held at the start of next year for people to suggest new games to us. If you have any requests for boardgames you think we should buy or any socials you would like - please let us know! Any questions? Please feel free to email us at UoNBoardGameSoc@gmail.com or join our facebook group.